When you think about common scams in 2018, you probably think of malware, spyware, click bait, credit card fraud, and identity theft. While these types of scams are on the rise, instances of gift card fraud are also increasing. While gift card scams are not as prevalent as other types of scams and do not cause as much damage since the damage done is usually limited to the value of the card, they are still nonetheless concerning. This article will cover the most common form of gift card scams, as well as provide you with ways you can avoid falling victim. Arguably the most popular form of gift card fraud occurs when the scammer goes to a retail store where gift cards are displayed on racks. The scammer utilizes a handheld card reader to swipe the strip and record the gift card’s serial number and other data needed to duplicate the card. If the gift card includes a PIN, the scammer will record that as well by scratching off the decal and replacing it will an identical or similar decal that he or she purchased online for very cheap. While the cards are in the store inactive they are useless; however, since the scammer is armored with the gift card’s serial number and PIN, he or she can monitor the gift card account via the retailer’s online portal and lay in wait for it to be activated. Once the gift card is activated, the scammer can encode the card’s data onto any card that has a magnetic stripe, and use it to make purchases at that retailer. Unfortunately for the recipient of the card, the funds will more than likely be drained before they get to use it. 1. Opt to purchase gift cards online rather than in-store. This is the best way to avoid this type of gift card scam. stored behind the register. If the store only has gift cards available on racks, try to pick ones that are not readily accessible. 3. If you choose to purchase a gift card from a secondary market, read the reviews pertaining to the website before making your purchase. 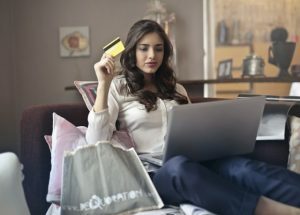 Only buy gift cards from reputable sites. 4. Examine any gift card you purchase in the store very carefully. Check to make sure the packaging, scratch-off area, as well as the magnetic stripe, have not been tampered with. 5. Check the gift card balance after purchasing it to verify the correct amount is on the card. 6. If you decide to sell a gift card via an online marketplace, don’t provide the buyer with the gift card’s PIN until you have received payment. 7. If you choose to purchase gift cards online, be highly skeptical of auction sites that sell gift cards at a considerable discount or in bulk. 8. Always keep your gift card receipt. This may make it easier to get a refund from the retailer. 9. Familiarize yourself with other types of gift card scams.